Everything started in 1947 in south of Loire Valley in Loroux Bottereau. Rogatien Marchais fascinated by vigneyard has progressively valued familial heritage to move from autarky to optimization of the means of production. 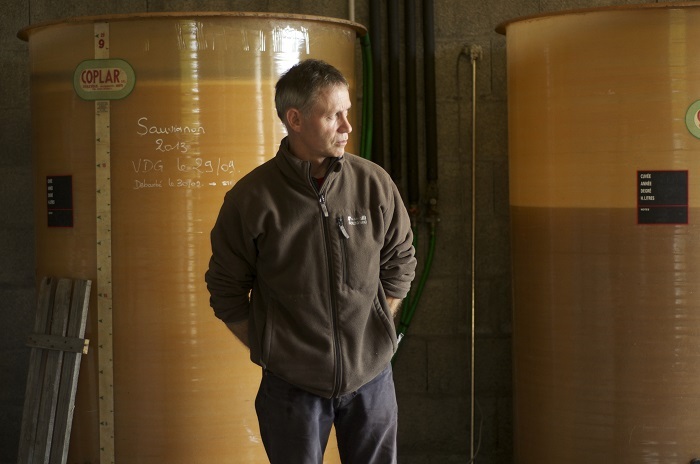 In the 80’s, Philippe, his younger soon became to develop the domain and curious by nature, he diversified its terroirs. For him, the wine must have a soul, tell a story. He organized his vineyard with the idea of rich and quality wine. Insatiable and stimulated perpetually by his encounters, Philippe sees greater. The desire to share this passion, to make understand his trade and to develop his direct sales as a true independent winemaker, encourages him to imagine a cellar to develop wine tourism. An ideal setting between Thouaré and Mauves sur Loire, overlooking the banks of the Loire, for a modern winery combining micro-production, storage, direct sales and wine tourism activities. 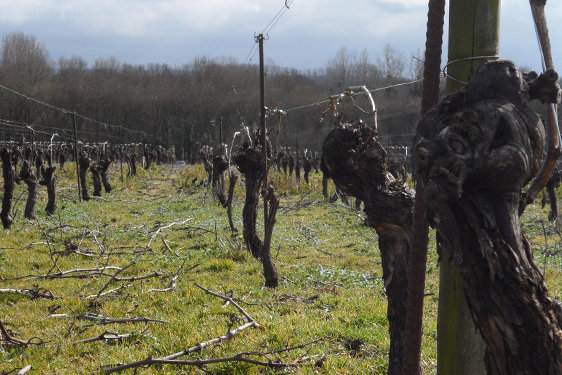 This is the second vineyard operated by Philippe Marchais in 1987. 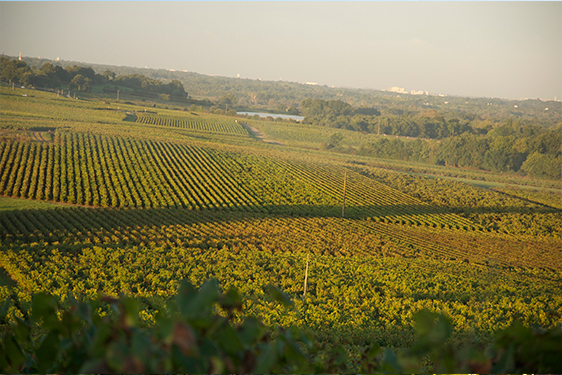 These plot, which today represent 3.5 ha, make it possible to develop a different cuvee. 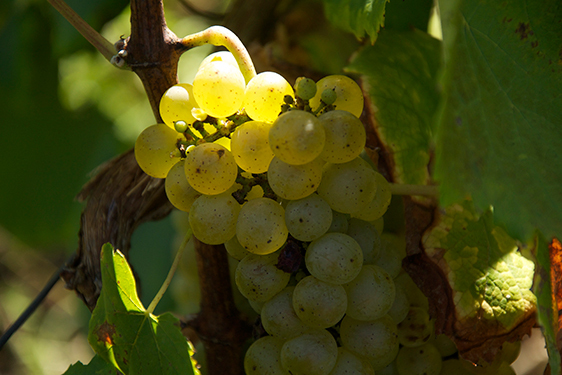 The estate will be enriched with a new name, Muscadet Côteaux de la Loire. With a subsoil of schists and quartz, a southern exposure on the banks of the Loire, the cuvée of the “Vignoble de Thouaré” has a beautiful minerality. 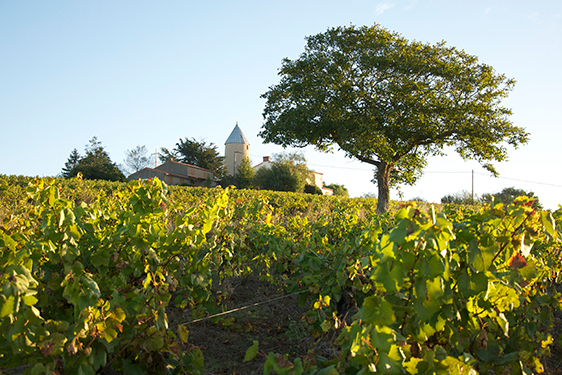 The Bronnière vineyard, in Loroux-Bottereau, is the historic vineyard of the Marchais family. With 20 ha, it is also the largest. 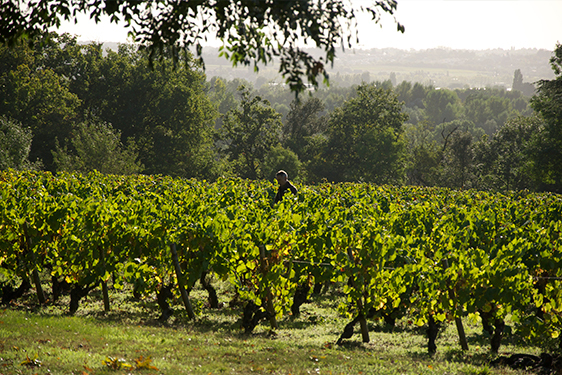 Located on the south / southwest slope of the Butte du Moulin du Pé, a renowned land of the Loroux-Bottereau, it produces fine Muscadets-Sèvre-et-Maine, with a floral and generous nose. Sauvignon, Chardonnay, and Cabernet Franc grape varieties are planted in the blends of our different still wines or sparkling wines. In 2007, Philippe Marchais reiterated in audacity, with a clos de Mauves-sur-Loire. A small plot of the property of the Bois Blot of 1.50 ha and exposed south, in the basement of micaschiste, close to walls and overlooking the Loire. The microclimate generated by the walls, the centenary trees and the southern exposure gives this confidential cuvée the expression of a beautiful maturity.